Dracula's Guest is believed to be the deleted first chapter of Stoker's masterpiece, Dracula, removed because the publisher felt the chapter was unnecessary due to the length of the manuscript. In the preface to the 1914 short story collection Dracula's Guest And Other Weird Stories, Stoker's widow, Florence Bram Stoker, notes "To his original list of stories in this book, I have added an hitherto unpublished episode from Dracula. It was originally excised owing to the length of the book, and may prove of interest to the many readers of what is considered my husband's most remarkable work." Despite the widow Stoker's prefaced note and supporting evidence, some Stoker scholars, including Elizabeth Miller, do not believe that the story was indeed the deleted chapter. 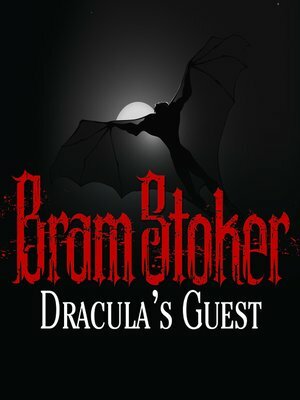 Dracula's Guest tells the story of an unnamed Englishman visiting Munich before departing for Transylvania. Ignoring the warning of his hotelier to return early, the Englishman ventures out to explore an abandoned village. In this village, during a raging storm, he encounters several otherworldly beings and is unsure of the exact events of the night.